YOUTH ACTION FOR RURAL DEVELOPMENT is located in Hydarabad Andhra Pradesh . YOUTH ACTION FOR RURAL DEVELOPMENT is registered as a Society at hydarabad of state Andhra Pradesh with Ngo unique registration ID 'AP/2013/0059020' . 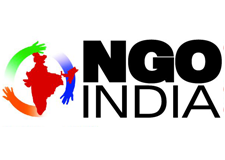 The NGO registration is done by Registrar of Societies with registration number 10008/1999 on the date of 29-12-1999, Its parent ORganaisation is PaulFoundation. The Chairman of YOUTH ACTION FOR RURAL DEVELOPMENT is ravi kumar and Chief functionary officer is RAVI KUMAR. Our society promotes the concept of egalitarian society where the equality of human being persists. Organization�s ideology is that development is a procedure demands information, education, involvement and participation of people or community for whom it is mentioned. The absence of involvement either at identifying phase or at implementation phase may be resulted into failure of the pr50ogramme. In case of development of poor it is evident from the past experiences that top-down model of development would not yield the required results and it fails to address the concept of self-sustainability .If the development of the poor is to be self-sustained ; then it has to emanate from the grass root. With our the participation and partake of the poor in the development process, the benefits will not reach the targeted.